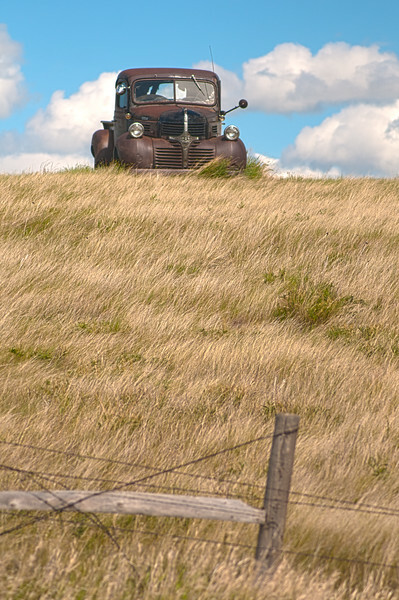 A vintage Dodge pickup sits on a hill near Bear Butte outside of Sturgis, South Dakota. I drove or rode by that car for years and one day stopped to take a few photos. The next year, it was gone!